Over his 40+-year career, Rob has become known as an accessible public theologian. The ordained evangelical minister has directed a home for recovering heroin addicts, led pastoral and missionary work around the globe, took a 2000-mile walk to Mexico to benefit some of the poorest people on earth, and spent 30 years as an influential political activist on the religious right that put him at the epicenter of some of our nation’s most pivotal moments. At age 52, Rob began a new stage in his spiritual journey. 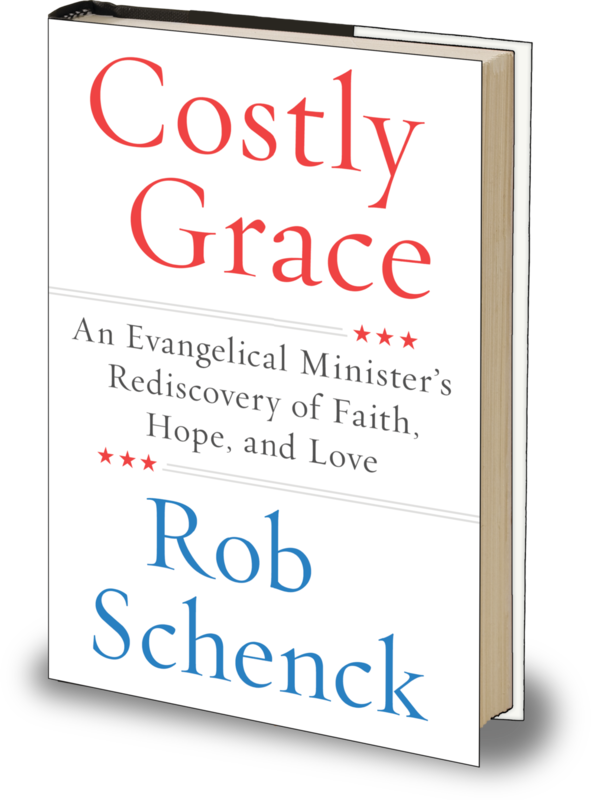 With the help of the brave, World-War II era German pastor and Nazi resister, Dietrich Bonhoeffer, Rob found his way back to the simple gospel he had first embraced as a teenager—revolutionizing his life—all over again. In 2015, Rob became the subject of The Armor of Light, Abigail Disney’s Emmy-winning documentary examining Evangelicals and the gun culture, putting him in the crosshairs of controversy. As he recently noted, “The popular item on the market, exploding in sales, bought by Evangelicals is…guns.” Now 60, Rob founded The Dietrich Bonhoeffer Institute in Washington, DC, to continue the work Bonhoeffer began in reforming the evangelical church. TDBI seeks to preserve and promote the legacy of this brave World War II-era Lutheran pastor, moral theologian, ethicist and Nazi resister, who was one of the first religious voices to speak out against Adolf Hitler and ultimately pay for it with his life. Rob lives in Washington, DC, with his wife, Cheryl, a psychotherapist in private practice, whom he says is by far the most interesting part of both his book, Costly Grace, and his life. Learn more about Dietrich Bonhoeffer, the German pastor and theologian who unreservedly engaged the moral dilemmas faced by German citizens in the 1930s and paid for his activism with his life when he was murdered in a concentration camp. Listen to Rob’s Bonhoeffer Podcast talk. Read the work that shaped his philosophy and started his third conversion. Purchase Political Idolatry – Rob’s Doctoral Dissertation. Rob devoted three years of intensive study to exploring Dietrich Bonhoeffer’s theology on a deeper level.